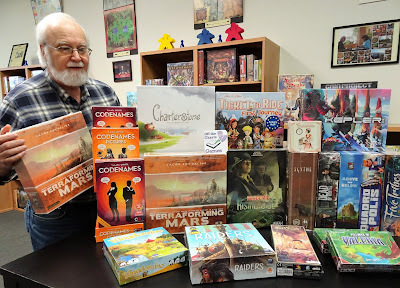 After the holiday insanity, Ron's been very busy getting our shelves restocked with games. Not only are we restocking your favorite games we have also brought in some new games. 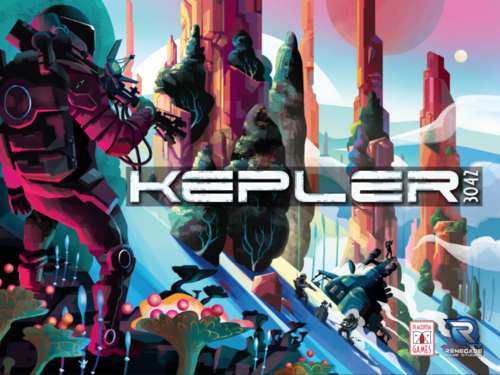 Kepler 3042 is a game of exploration and colonization. You must carefully manage your resources as you colonize, exploit, and terraform the planets of the Milky Way, developing critical technologies as you go. Each round, you must choose which action to perform and which bonuses to activate to further your goals. An innovative resource management mechanism allows you to spend your limited resources of energy, matter, and antimatter to take powerful actions and speed up to strategy. 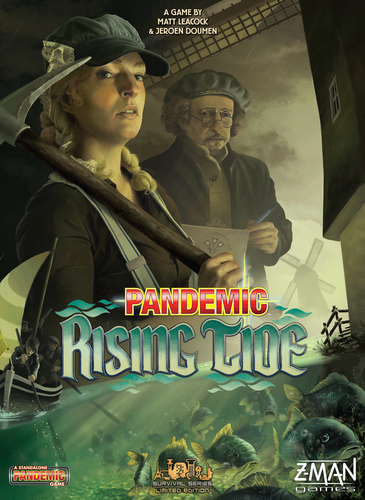 New from Z-Man Games is Pandemic Rising Tide, a stand-alone cooperative game for 2 to 5 players. In Pandemic Rising Tide, it is up to your team to prevent water from overflowing the Netherlands. As you sail these water-filled regions, you will build dikes to control water flow, ports to facilitate travel, and windmills to pump the water out of flooded lands.But storms are brewing and the sea is restless. To win the game your team must build the four historical hydraulic structures before the rising water engulfs the country. 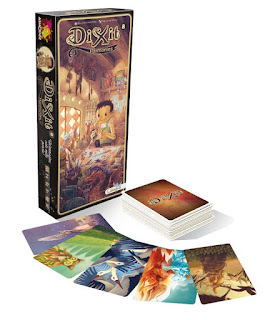 Harmonies is the latest expansion to the base game Dixit. 84 new image cards feature the art of Paul Echegoyen.